Challenging Site? No Worries! Check out our latest build at Aspect at The Summit, boasting magical views across the beautiful Coffs Coastline. Excavation complete, ground floor frames are up and first floor is starting to take shape nicely. As you can see challenging sites are our specialty. We can achieve the desired outcome for our clients at an affordable price. If it fits your land, lifestyle and budget, rest assured, Blue Ribbon Homes your quality modern new home builder can build it for you. We don’t place any restrictions on the style of home or type of land chosen by you. 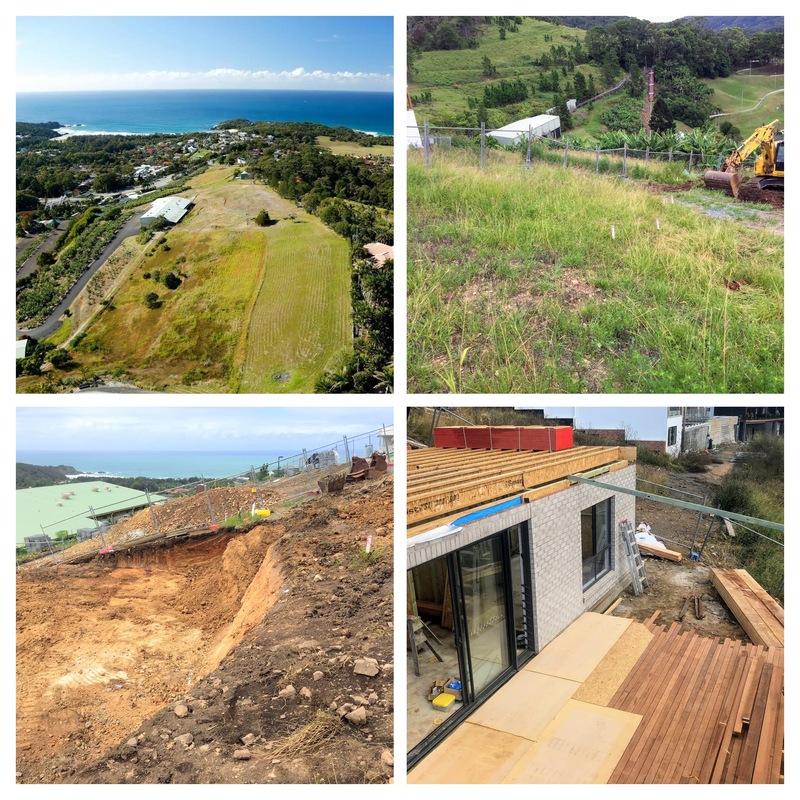 We confidently undertake projects involving sloping sites with concrete or timber floors and double storey, split level or multi-level homes. We can arrange a free pre-purchase site inspection of your land, providing you with the right advice to help with your land purchasing and subsequent building options when building a modern new home. After discussing the requirements of your modern new home our design team will develop your unique concept plan. You’ll then be provided with a full and comprehensive itemised quote, you’ll see exactly what we have included in the price, which means there’ll be absolutely no hidden extras. We’re regularly building on the Mid North Coast and are considered the premier modern new home builder. Whatever kind of land you’re looking for, we can assist you in every aspect. Make the Sea Change you’ve always dreamt of with your modern new home builder Blue Ribbon Homes… Check out our Sea Change page on our website to get information on the great areas that we build in land availability. We build new homes in Coffs Harbour, Woolgoolga, Urunga, Macleay Valley, Grafton, Nambucca, Bellingen, Korora, Korora Beach, Moonee, Moonee Beach and Sapphire Beach. Click Here to check out our Sea Change page. What land for sale options are there in Coffs Harbour? Coffs Harbour offers plenty of variety because the terrain is varied. At Blue Ribbon Homes your modern new home builder we will discuss your individual needs to find out what will suit you best. Not just from the land or home choice point of view though, we’ll take a holistic approach and match all of your requirements. And remember, sloping sites are our specialty so we can pretty much site your new home anywhere. 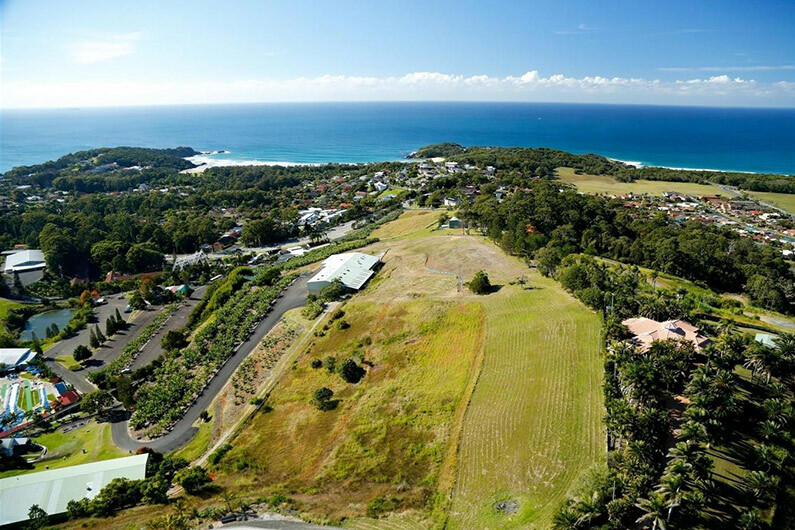 Click here to view available land in Coffs Harbour.